Top Notch Material: Win a 3D Wall Chart of Choice from Popar Toys! Win a 3D Wall Chart of Choice from Popar Toys! My seven year old is something of a science nerd. This makes this Mama super happy, because lets face it, usually science nerds go into science fields...and THAT is a good thing! With his very science minded brain, he is very fascinated with the human body and how it works. I guess that is expected because his mom is a registered nurse and his dad is a nurse practitioner. Anyway, as I mentioned yesterday, Popar Toys is a fantastic company for kids that love 3D interactive books and puzzles, but they also have some pretty amazing Wall Charts! 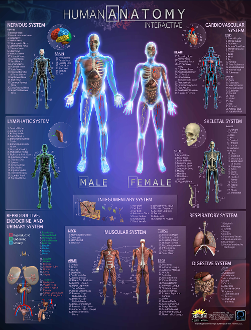 We just received the 3D Human Anatomy Chart and it is pretty amazingly cool! "Popar Toys will bring your wall to life with its amazing Human Anatomy 3D Chart. Watch as your wall opens up and the human anatomy leaps from the poster as you can explore and interact with the heart, brain, digestive system, and more! 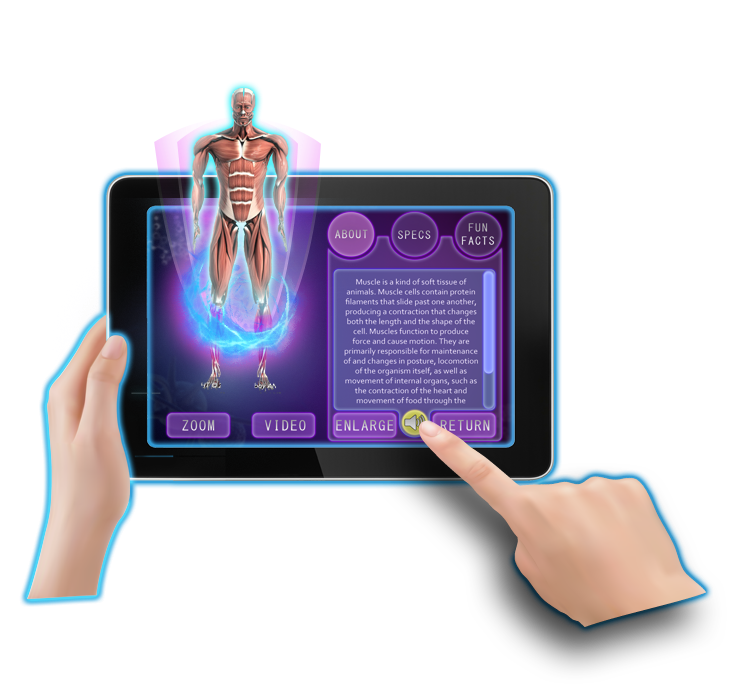 This chart is infused with Augmented Reality technology allowing your child to engage and learn through detailed 3D animations, educational videos, and informative facts. These key features will really support and help your child enhance creative perception, learn about spatial and temporal concepts, and learn and retain information. Enable your child to learn differently with the Human Anatomy chart from Popar Toys…bringing learning to life. " It is amazing to me that a poster can be so very educational!! There are videos that can be played by simply downloading an app on your device and scrolling over the poster to different sections. Even though my son knows quite a bit about anatomy, he learned an amazing amount from this wall chart and continues to come to my and his father with questions about other anatomical structures he learns about. If you are looking for something a little different and educational for your little science minded loved one this Christmas season, I highly recommend looking around Popar Toys. They have so much to offer including 3D puzzles and books and of course, the super cool wall charts! The wall charts come in three other prints: world map, periodic table of elements, and the solar system! These are available for only $19.99 at Popar Toys! Win It: One lucky winner will receive their choice of any one of the 4 charts. It's such a tough call all of the charts are super interesting! I would love to have the Solar System Chart. I'd love the Human Anatomy Interactive 3D Chart! I'd like to have the World Map Interactive Chart.